Services are first come first served. Prices start at $6.25 for garden tools and $7.50 for kitchen knives. 1Sharptool Edge Service accepts cash, checks and credit cards. For details, contact 1Sharptool Edge Service at 360.606.7062 or visit 1SharpTool.com. Spring cleaning comes to Concordia, and CNA will dump, recycle and/or find new homes for your household items. “You Price It”Yard Sale: See something you like among the reusable household goods, say what it’s worth to you and it’s yours. Professional tool & knife sharpening: Details here. All proceeds support CNA’s mission to organize human and physical resources, build community and enrich livability here. The hunt begins at 10 am SHARP. Don’t be late – it ends in a flash! 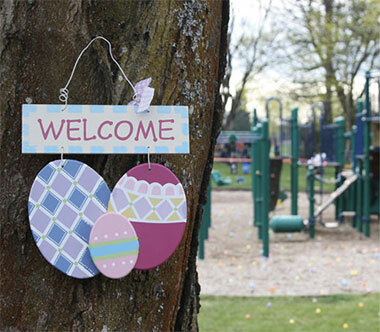 – stuff 6,000 plastic eggs with candy on Friday, March 30, 5 p.m. to 8 p.m. Meet at the American Legion at 2104 NE Alberta St.
– hide 6,000 candy-filled eggs on Saturday, March 31. Meet at Fernhill Park (Playground along NE 37th Avenue) at 8 a.m. Contact Katie Ugolini at Social@ConcordiaPDX.org or 503.449.9690. There’s no January issue of CNews headed your way. We gave our volunteer writers December off to spend the holidays with families and friends. HOWEVER, we aren’t missing a beat on the community calendar that you usually find on Page 12. Find it here instead! Concordia Neighborhood Holiday Party — You Are Invited! Tuesday, December 12, 6:30 to 9 p.m. at Cerimon House, 5131 NE 23rd Ave.
Pizza generously donated by Hot Lips Pizza, Pizza Jerk and Red Sauce Pizza. Coffee generously donated by Caffe Vita. Performance by Vernon School Choir at 7 p.m.
Community Sing led by Susan Riggs, director of FEAST Community Choir at 8 p.m.
Raffle prizes generously donated by Basics, a Pacific Foods store; Dekum Street Doorway; Cottage Pantry; Frock; Grand Central Bakery; Hot Lips Pizza; Just Bob; Amelie Marian – Hasson Company Realtors; Red Sauce Pizza; Sarah Miller – Portraits in Prose, ink; Seastar Bakery; and Verum Ultimum Art Gallery. Recent events indicate nowhere is safe from disaster, natural and otherwise. 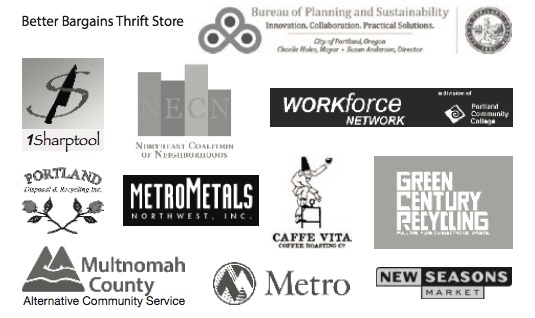 Dedicated volunteers and professionals in Concordia – throughout Portland, the state and the nation – are ready to help you prepare for events that may come. Two of them will share details with you at the Wednesday, Nov. 1, Concordia Neighborhood Association (CNA) Annual Membership Meeting. 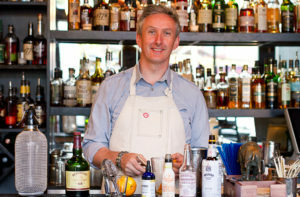 It begins at 7 p.m. in the McMenamins Kennedy School Community Room. Immediately prior to the 7 p.m. Annual Membership Meeting, the CNA Board of Directors will convene for its regular monthly meeting at 5:30 p.m. Members of the public are welcome and encouraged to attend and contribute. Justin Ross, community capacity specialist, represents Multnomah County Emergency Management at the CNA meeting. That department hosts and sponsors a variety of personal and community preparedness classes through its new Community Preparedness Education and Outreach Team. 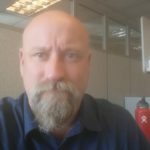 His presentation will outline the impacts of a Cascadia Subduction Zone earthquake. Scientists estimate that zone, a fault that stretches from northern California to Vancouver Island, has a 37 percent probability to rupture within the next 50 years and produce a 9.0-plus earthquake in Portland. 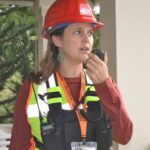 Amy Gard, leader of the all-volunteer Concordia/Vernon/Woodlawn Neighborhood Emergency Team (NET) will explain how the three-dozen-member team plans and drills for natural disasters. She’ll also discuss “Map Your Neighborhood,” an Oregon Emergency Management/Oregon Citizen Corps publication. The local team is tasked with acting as first responders to help the 17,000 local residents survive until the arrival of adequate emergency services. NETs aren’t new to Portland which, in 1994, was the third city in the country to form them. Click here for additional details – including the board election – about the CNA Annual Membership Meeting. 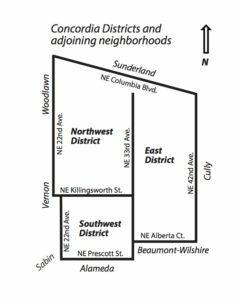 Wednesday, Nov. 1, is election day for Concordia Neighborhood Association (CNA). In addition to the election/re-election of board members are presentations on emergency preparedness, CNA committee reports and time for you to speak up on neighborhood concerns. Immediately prior to the 7 p.m. Annual Membership Meeting, the CNA Board of Directors will convene for its regular monthly meeting at 5:30 p.m. Members of the public are welcome and encouraged to also attend that meeting and contribute. Each year, seven two-year positions – half of the CNA Board of Directors – are up for election/re-election. Incumbents may or may not stand for re-election. In either case you’re welcome to nominate yourself or another Concordian for office. This year eight positions will be included in the election. That’s because the Southwest 2 position is being vacated, with one year remaining in the term. The incumbent in the East 1 position has indicated he will decline re-election to a two-year term. See the map to right for CNA district boundaries. The primary qualification is residing in or owning property or business interests in the neighborhood. The age minimum is 14 years, and any nominee younger than 18 must have written permission from a parent. The two-year terms begin in January. Each board member commits to attending monthly board meetings, attending regular and special membership meetings, attending CNA-sponsored events and membership on at least one CNA committee. Board members should additionally be willing to represent the community to the city on issues such as land use, livability and safety. They are also ambassadors within the neighborhood and at association events. For complete details on CNA elections and positions, visit ConcordiaPDX.org/about-cna/bylaws/. If you have questions prior to the Nov. 1 meeting, contact board member Ali Novak, AL4@ConcordiaPDX.org. In addition to the board election, the CNA Annual Meeting features emergency preparedness presentations by the local neighborhood emergency team and Multnomah County. Three dentistry offices in northeast and north Portland will exchange some of the candy stash your trick or treaters collected this year – some for cash, others for toys. The dentists are participating in the 2017 Halloween Buy Back program and partnering with local veterans organizations to send the candy to military troops stationed overseas. 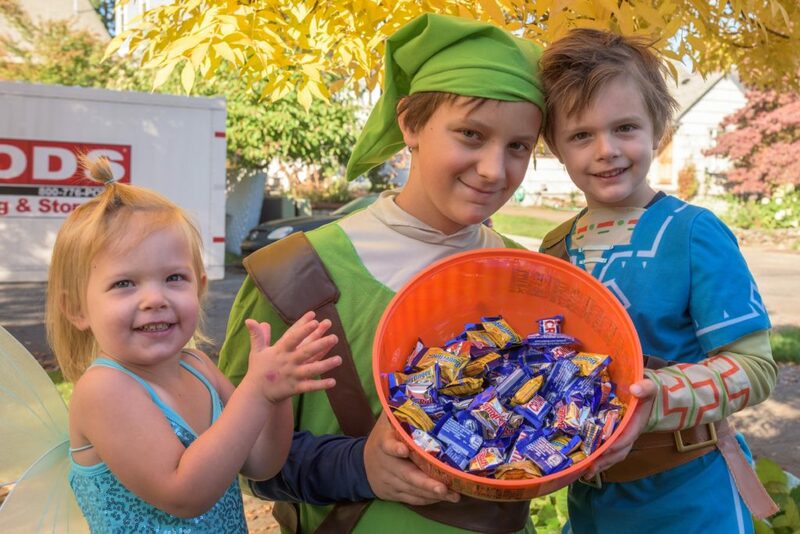 Since 2015, the program has collected more than 130 tons of candy nationwide. Children have benefited by reducing their sugar intake, dentists seize the opportunity to contribute to their community and military personnel appreciate being remembered. Wednesday – Friday, Nov. 1 – 3, 8 a.m. – 4 p.m.
Nov. 1, 8 – 4 p.m.